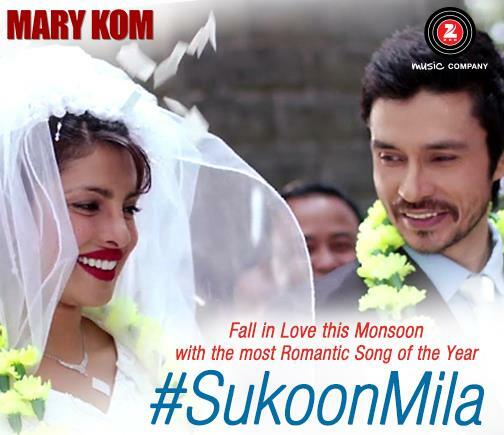 Fall in love this monsoon with this romantic song of the year Sukoon Mila from Bollywood biopic May Kom featuring Priyanka Chopra and Darshan Kumar. This soft romantic song is sung by Arijit Singh, music composed by Shivam and song lyrics written by Sandeep Singh. This video song rounds up a small sweet love story of Mary Kom and her husband K Onler Kom.